For the past 17 years, ALMA – Home for Hebrew Culture, has pioneered Israel’s social and educational movement to reclaim Jewish wisdom, text, and ritual culture as the legacy of ALL Jewish Israelis, regardless of background, to interpret as relevant to their lives and beliefs, thereby enriching both their own Jewish identity and the level of Jewish discourse throughout Israeli society. ALMA strives to be the address where Jewish culture, Israeli culture and world culture intersect. Thus, each of ALMA’s core programs live in “The Grey Zone”. Because Jewish Identity has unfortunately been a dividing line between and among groups in Israel, Alma has chosen to introduce the various groups it reaches to the richness and beauty of Jewish texts that address core issues and challenges in Israeli society, including multiculturalism and diversity of belief, ideology, values and practice. The vision of ALMA is that shared Jewish experiences and reference points can bring people together across boundaries in Israeli society. 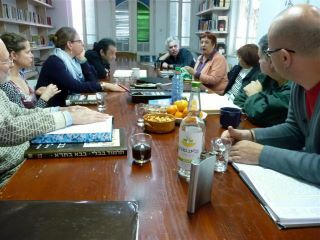 ALMA employs the traditional Beit Midrash learning experience, which encourages individuals to examine ancient texts through a modern lens, thereby reconsidering their pre-existing understanding of their own and alternative approaches to Jewish Identity in a way that makes room for other approaches without diminishing their own convictions. 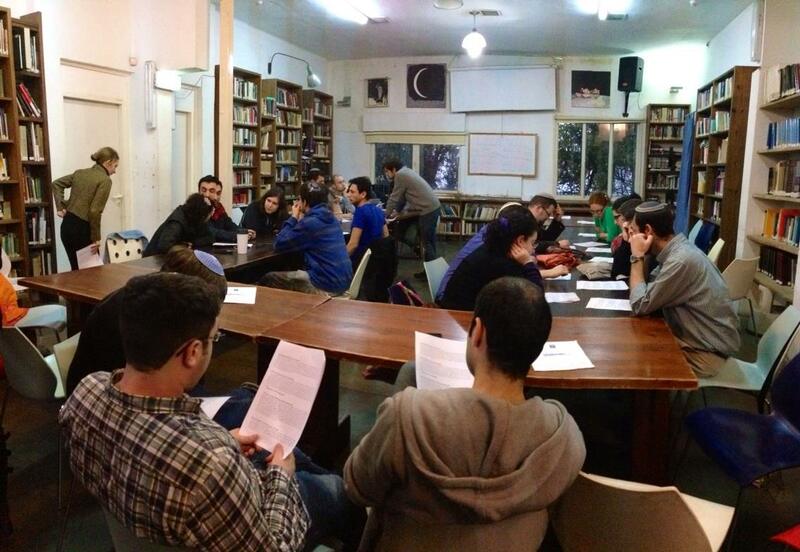 ALMA’s Beit Midrash is the organization’s heart and soul, bringing the 2000-year-old way of learning and interacting with Jewish texts to the study of traditional and contemporary sources, reinvigorating Jewish content as a vibrant force in Israel’s modern, cosmopolitan culture based in Tel Aviv. The Beit Midrash for Artists Fellows Program represents ALMA’s strategy of exposing (not imposing), Israel’s cultural leaders and trendsetters to a uniquely rich Jewish intellectual experience in a tolerant environment of listening and self-expression, enabling participants to both receive and generate creative insights and new depths of interpretation and understanding of their Jewish cultural heritage. The result: ALMA Fellows develop a sense of cultural continuity with the cultural assets of Judaism in both their personal and professional lives. ALMA’s TCIS (Text, Custom, Identity and Society) program applies its mission and expertise to the foundational institution of Israeli society, the Israel Defense Forces. By focusing on IDF Officers in Training and their potential role as educators and change-agents during their IDF service and beyond, TCIS aims to enhance the Jewish character of IDF service as a formative Israeli experience, and to simultaneously inculcate a pluralistic approach to Jewish identity and practice, that empowers emerging leaders to address issues of diversity in Israeli society. This year, ALMA is celebrating its 18th Anniversary – 18 Years of Reawakening the Past, Reviving the Present and Reclaiming the future for ALL Jews. The work that ALMA has done in Israel is highly relevant to the American Jewish experience. ALMA’s Tikkun Leil Shavuot – All Night Study Program, in collaboration with the Jewish Community Center in Manhattan, was well received for its innovative, pluralistic approach to Judaism and is a prime example of ALMA’s commitment to exploring Judaism in “the grey zone”. To bring ALMA to your school or community, or for more information about Alma and its programs, please contact us at: Marty@alma.org.il.